Those who like philosophy, "I done everything in its own way" likely to engage in the hassle of dealing with opening the account to a service offering dynamic DNS, activate remote desktop sharing, and enable NAT and forward the necessary ports on the router (if any). However, why do you torment with TeamViewer far simpler.Things work in a way that will install automatically be assigned a unique identification number. All you have to do is to enter a password, and other configuration steps, I will do TeamViewer (will be installed and an additional module, DynGate, thanks to the TeamViewer can normally work and if it is behind a firewall). Then, the computer from which you will access your also must install TeamViewer and usually interface to enter their identification number (or number of computers you want to connect), click the button "connect to partners and connections will be achieved almost instantly. Impression is more than excellent, and I work with actually not too different from the one that makes similar software for remote control of computers. Specifically, do you like to work with their own computer regardless of what it may be remote, and a hundred kilometers, and the quality of work, mostly depends on the speed of connection to the Internet. 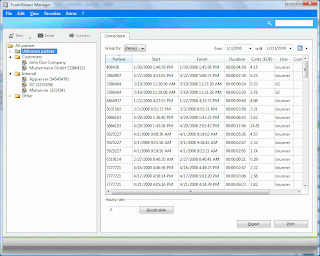 TeamViewer offers the possibility of talks, but it's possible to modify the files.Care is dedicated to the security and the encrypted communication, and access to computers is available only to those who know your ID and password. In any case, great thing!